The Solicitors Regulation Authority has signalled a fresh approach to its work, with a focus on simplifying the requirements it imposes and ensuring they are proportionate. Executive director Richard Collins has also indicated that the controversial separate business rule (SBR) could be a casualty of this policy shift. It follows a column by SRA chairman Charles Plant in the Law Society’s Gazette in which he said that “on balance the SRA’s view is that our current requirements and approach still err too much on the side of being overly prescriptive and unnecessarily burdensome”. The article was notable for not referencing either outcomes-focused regulation (OFR) or risk-based regulation. Mr Collins told Legal Futures: “Perhaps the whole debate about the future direction of regulation has focused too much on the theory at times. This was, perhaps, understandable as all of the regulators came to terms with the impact of the Legal Services Act, and as the major change to independent regulation and the introduction of alternative business structures was made. There is a particular recognition that small firms are not enjoying the current OFR regime. Mr Collins said: “It is widely recognised that removing prescription and rules can offer greater freedom to law firms to run their business as they see fit within the professional parameters that regulation seeks to achieve. But there is also a growing view that small firms sometimes respond to this freedom by retrenching in the face of risk and thus making less of the opportunities on offer. “The government’s new regulators code makes these points well and, coincidently given that we were already well ahead on making our plans, suggests that regulators should make it easier to comply and provide guidance and advice for small firms. 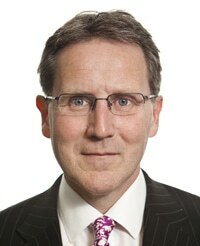 Proposals to come out of the SRA shortly will also include whether the requirements for minimum levels of professional indemnity insurance are too high for certain firms doing low-risk work – with the result that either premiums are higher than they need to be or that insurance is unobtainable – or needed at all for firms with sophisticated corporate clients. And having previously staunchly upheld the importance of and need for the SBR – despite criticism from the Legal Services Board – the SRA has acknowledged that the changing legal market means the rule needs to be reconsidered. 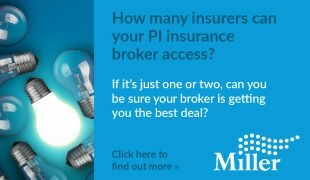 Mr Collins said: “We have always recognised that the SBR is restrictive, but it also offered protection for consumers. The question is one of balance between its positive and negative impacts. As the legal market has changed and the way that solicitors practice becomes more plural, then we have to reconsider that balance. The indication is that the SRA is moving towards more of a ‘You can’ regime, rather than one starting from the premise that ‘You can’t’.